Considering all aspects and updates of recent years, the 2013 Jeep Wrangler lacks refinement as compared to other competitive crossovers. But, still now this is the most interesting and powerful as well as affordable off-road SUVs of the market. The automaker has updated this vehicle with more comfortable and flexible seats, a new and fully featured tire pressure monitoring system that indicates the tire pressure individually. Another interesting update is the advanced Alpine sound system. Under the hood, Jeep features a standard 3.6 litre V6 engine that is the traditional set up in its lineup. Its heavy duty engine produces 285 hp with the torque generation of 260 ft-lb. The 4WD is the standard feature for this model, and Jeep also features low and high range transfer case gear systems. To transmit the power into wheels, the automaker has smartly introduced a 6-speed manual transmission system that is assisted by hill-start. 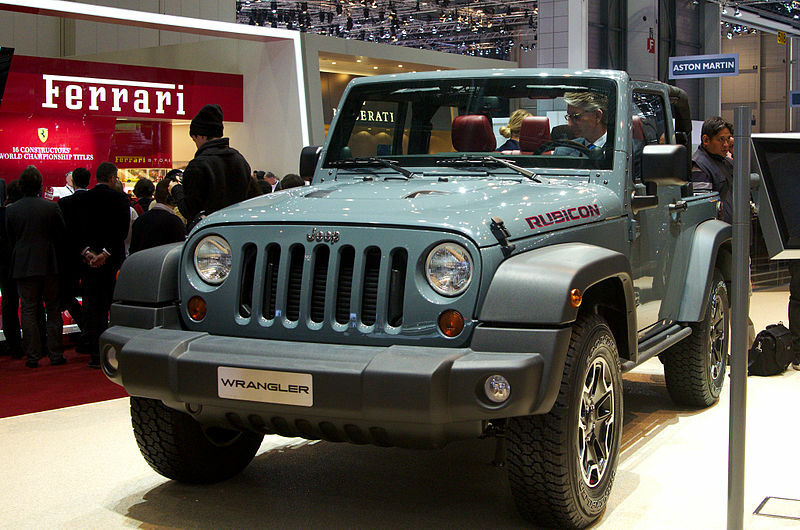 You are also getting the 5-speed manual transmission as an optional feature for this 2013 Wrangler model. The track record shows that this 2-door Wrangler takes only 7.1 seconds to accelerate from zero to 60 miles per hour, and it is a competitive track record at that stage. It has also a good fuel economy rate in both city and highways. The estimated EPA rating of this vehicle model is 7.23 Km/L on city roads and 8.93 Km/L on highways. However, in the combined driving it achieves 7.65 Km/L regardless of its power transmission system. Jeep has been refining their Wrangler model for years and also trying to make it more acceptable and reliable in the modern age. Jeep designers and engineers have given same priority to the functionality and comfort to design its interior. You can easily clean the roomy interior after a day’s journey in dirt and dusts. It’s rounded interior line up gives the real feeling of an organic mix. With all new and updated power and drivetrain assembly, the 2013 Wrangler is capable of giving a reliable and comfortable off-road driving pleasure. Though, you may face a tippy handling on rough ride, its suspension and other related setups are quite good than others. Its standard 6-speed manual power transmission system features an advanced and smartly modulated clutch system for reliable driving. On the other hand, you may get smooth and more decent power delivery as well as competitive fuel economy. 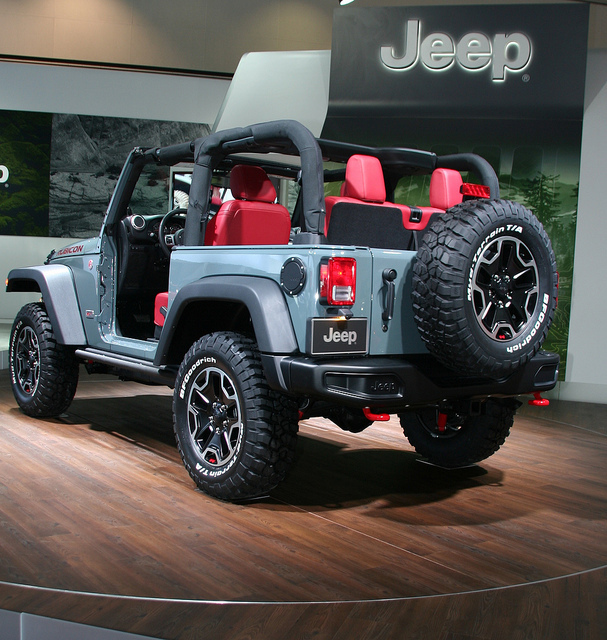 Auto enthusiasts agree that the 2013 Wrangler features a no-frill interior that is the more functional than other compact SUVs. 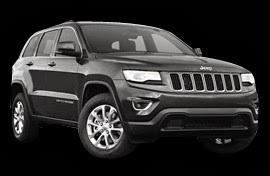 Jeep offers some common features which you may find on other competitive SUVs like air conditioning and power door locks and windows as optional features here. But, the most appreciating matter is that this new Wrangler has become more refined and up to date in recent years. The automaker has released this compact SUV with the price tag ranging from $32969 - $44442. US News reports that it is in the 15th position as the most affordable compact SUV, and they have rated it depending on 87 published reviews.